What does it take to deliver what your customer needs, in the quantity they need, on time, every time? It should be simple. It really is the most fundamental requirement of any manufacturing or distribution business. So why do so many businesses find on time, in full delivery so hard to achieve? Getting the right stock to the right place at the right time is the goal of every supply chain. Lean time is the biggest factor in achieving this consistently. Even if you think you are doing well, you might be kidding yourself. On time in full delivery (some companies call it DIFOT – delivery in full and on time) is perhaps the most abused metric in business (next to profit of course!). Due dates get shifted, tolerances get allowed and lead times get imposed on customers. If you want to know how good your business’ delivery performance is, there is only one person to ask – your customer. Chances are, you may get an unpleasant surprise when the customer’s perception of your service does not accord with you own. Meeting the customer’s expectations – the exact expectations, not what you think they should be, then becomes the starting point of improvement. Customers are dissatisfied with your delivery performance, even when your own metrics show you are performing well. You achieve good delivery performance at an unacceptably high cost to your business or by imposing long lead times, penalties for poor forecasting or other restrictions on customers. So how do you improve on time in full performance, without sending your business bankrupt? This is a big topic, that I address in my latest book, “On Time In Full: Achieving Perfect Delivery with a Lean Supply Chain” (Productivity Press, 2017). However, in this article I am going to address what I think are some of the underlying drivers of poor delivery performance so that you can identify these in your own business. Lead time is the enemy of good delivery performance. This includes the lead time to process an order, the lead time to replenish goods from your suppliers, the lead times to manufacture and distribute your goods, and the lead time to pick and pack an order. Every day that you add to lead time will add inventory and will increase the risk of failing to deliver on time. So how do you reduce lead time? The key to reducing lead time is to really understand it. You do this using a value stream map. You will develop a future state map that will highlight the practical steps you can take to reduce lead time in across your whole supply chain. These might include creating continuous flow in your manufacturing operations using lean techniques, addressing the root causes of supplier lead times, eliminating waiting time at ports and cross docks, and taking links out of your distribution chain. You do need a forecast; it’s just that you need to be realistic about at what level you can forecast and what you can do with a forecast. When you think about the weather, it is useful to know that January will be colder than September and that July will usually be hot and dry. This information allows you to make long-range plans about travel, clothing, gardening and any number of things. Likewise, a high-level monthly forecast of your demand at the level of value streams or (at most) key product families is extremely useful in helping your business achieve on time delivery. This kind of forecast allows you to plan your capacity and labor. It also enables you to engage your supplier in long-term discussions about how much they will need to supply. 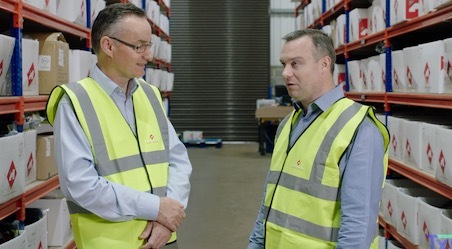 A Demand Review: This is a meeting between sales and supply chain about what are the expected changes in demand over the next 12 months compared to the previous month’s forecast. The output of this review is an agreed high-level monthly forecast and a list of the assumptions behind that forecast. A Supply Review: This is a meeting between operations and supply chain to discuss the ability of the business to meet the forecast that sales has agreed to. This will highlight the need for increases in production capacity and labor required to meet the forecast demand. It should also highlight the ability of key suppliers to meet this demand. The output of this review is a set of recommendations for investments, hiring (or downsizing) and supplier actions to meet the forecast demand. The S&OP Meeting: This should be a final review and sign off of the forecast and supply recommendations involving the key leaders in the business. It needs to look out over the whole 12 month forecast horizon, with a focus on the next six months, rather than focus on the next month. It is good to review past month’s performance, but make sure the main focus of the meeting is on the future and not the past. A simple S&OP is quite easy to set up and will really transform how you plan for your business. Every product or group of products in your business must have someone responsible for product management. This person should be responsible for deciding which products get introduced and which are deleted and when. You should always analyze your sales and inventory to know which products are contributing to revenue and profits and which are not. Those that aren’t should always be challenged as to whether they should remain or be deleted. Before any new product is introduced, a business case should be prepared outlining what this new product will deliver to the business and including what products might be replaced by the new product. 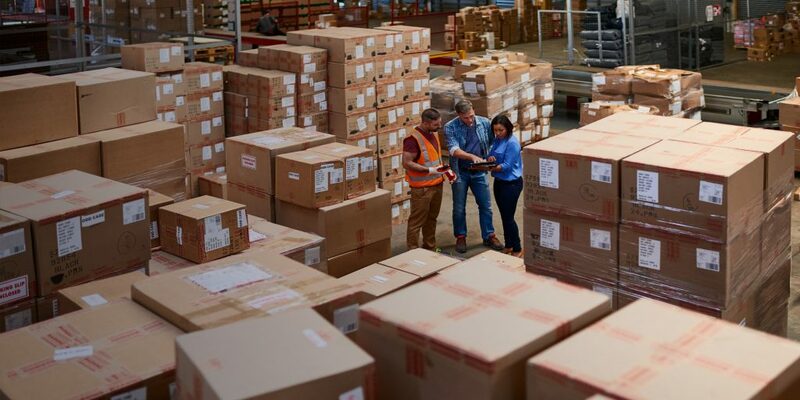 Your business needs a robust process for the ramp up of new products and the run out of old products to minimize obsolete stock when products are upgraded. This is only a brief introduction to the factors that drive on time in full delivery. However, hopefully it provides you with a bit of inspiration to start looking at your own business. Remember, there are no perfect answers for your supply chain. There will always be a compromise between inventory, cost and delivery. Supply chain is a highly contested area, with experts zealously promoting one solution or another as “the answer.” My suggestion is start with the problem – on time in full delivery – and then pragmatically select the tools and techniques that give your business the best outcome. Whether you have a “Class A” supply chain or are truly “lean” is less important than whether your customers get what they want, when they want it in the quantity they want every time.